From the late 20th century women typically combined motherhood with paid work. Many children experience some form of daycare in their preschool years, whether full or part days at an early childhood centre, or morning or afternoon sessions at a kindergarten. 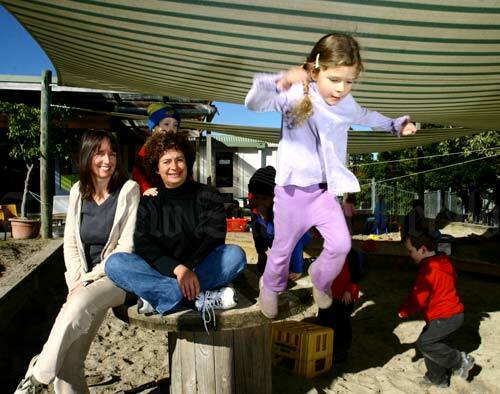 Here a parent and a teacher watch over the children at the Danbury Kindergarten in Torbay, Auckland, in 2005.